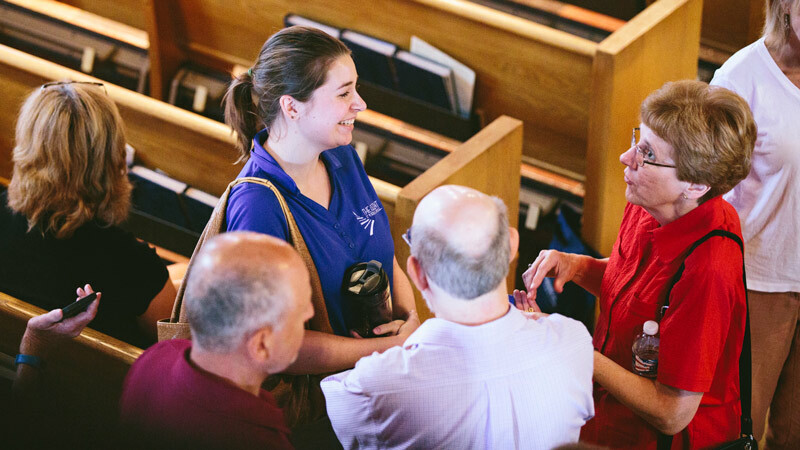 Everyone wants to belong to a vibrant faith community—and re-energizing your parish can start with you. Become a Parish Champion for your parish. It’s a simple yet powerful way to inspire your fellow parishioners by sharing free copies of our life-changing books, CDs, and Catholic programs with them. Are you ready to share the genius of Catholicism with everyone in your faith community? What Does a Parish Champion Do? Every month, Parish Champions distribute free Dynamic Catholic books or CDs, share our world-class Catholic programs with their pastors and parish leaders, pray for their parish, and interact with our Parish Champion team leader to discover new ways to breathe life into their parish community. Each month, Parish Champions receive a free case of Dynamic Catholic books or CDs to distribute to their fellow parishioners after Mass or share with ministry leaders. You’ll be amazed by what giving someone a free Catholic book can do for their spiritual life. Every month, Parish Champions receive materials for one of our programs to share with their pastors or parish leaders. Bringing these incredible programs to your parish will transform the way people experience and live their Catholic faith. Parish Champions pray for their parishes and are encouraged to ask their pastors, parish staff, and fellow parishioners for prayer intentions. Praying for the needs of your parish is a game changer for your community—and your own spirituality. Each month, Parish Champions receive a video-based email from our Parish Champion team leader. Through this personal relationship, you’ll be one of the first to find out about new Dynamic Catholic programs and other resources before they are released. Interested in Becoming a Parish Champion? Simply click the button below to fill out a short survey that will help us get to know you and your parish a little better.